To be successful as a hydroponic grower, one has to be aware of plants’ exact requirements for optimal growth. Plants generally require water and nutrients to grow, but there are three other essential factors that are often overlooked: air, light and climate. Each of these five factors can be divided into two or more subdivisions, indicating the complexity of fully fledged controlled environment agriculture (CEA) (see Figure 1). 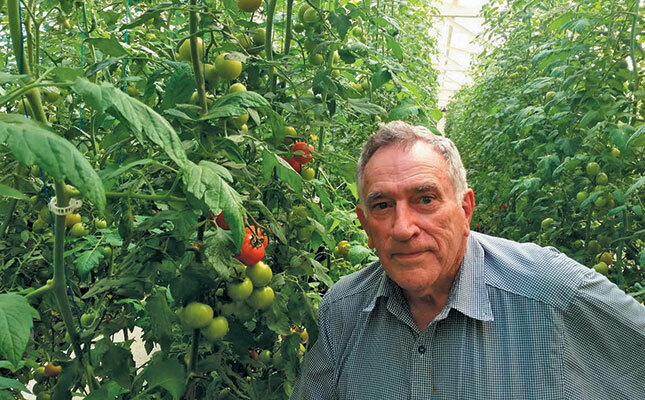 This is the main reason that growers in Europe and other countries with inclement weather require expensive and sophisticated greenhouse systems with full climate control to meet market demand throughout the year. 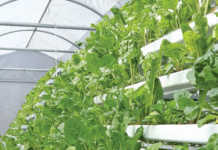 READ Is hydroponics the answer to global food challenges? 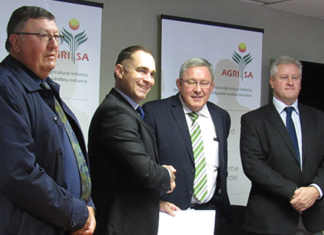 Due to the mild climate in most parts of South Africa, excellent hydroponic results can be achieved at a much lower cost than in European countries. Put another way, we need to optimise our generous sunlight, mild to warm temperatures, available precipitation and other natural factors to keep capital expenditure down. Plants require water for growth, and it has to be in sufficient quantities and of acceptable quality. The water used for hydroponics should not contain any harmful pathogens or unacceptable levels of chemical elements, and should be at the right temperature, concentration and pH level – typically slightly acidic (soft) for optimal plant growth. Hard water is not suitable. It has a high mineral content, often accumulated while percolating through deposits of limestone and chalk, and is made up mostly of calcium and magnesium carbonates. This water typically has pH levels of eight or more. Municipal water is too alkaline for optimal hydroponic production, and always has a pH of about eight to prevent corrosion in plumbing. zone due to respiration. In hydroponic systems, plants grow with their roots hanging in the nutrient solution, and dissolved oxygen (DO) levels in the solution should be high enough to promote root growth, and be carefully controlled. Plants require CO2 for photosynthesis, but it should be remembered that they also require oxygen (O2) for respiration 24 hours a day. On sunny days, plants produce more O2 than is needed for respiration, but at night or in the dark underground root zones of terrestrial plants, only respiration occurs. Other important factors include ventilation, air exchange, temperature, humidity, air quality, wind direction and speed. The latter can cause mechanical damage to both greenhouse structures and the plants inside. 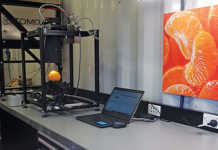 The level of CO2 in the air surrounding the plants is also important. In a fully enclosed greenhouse, the CO2 could be depleted early in the day, especially under sunny conditions, and needs to be replaced by proper ventilation and a sufficient number of air exchanges during the day. CO2 enrichment of air is a common practice in countries with cold climates, where CO2 levels are often increased far above atmospheric levels to enhance plant growth. There is a linear relationship between CO2 levels in the air and plant growth. The main reason for this is that 40% to 50% of dry plant matter consists of carbon obtained from CO2 in the air through photosynthesis. It is relatively easy to grow a good crop in South Africa’s sunny summer conditions, or even winter, depending on the local climate and plant species. However, it is not only the amount of solar energy reaching the plants that is important, but day length, shading and the quality of light (consisting of a combination of ultraviolet, all the colours in the visible colour spectrum, and infrared (heat)). Day length manipulation is often used to stimulate out-of- season flowering in plants such as chrysanthemums. There is also scientific evidence that ultraviolet light reduces stem lengths to make plants more compact (for example, potted poinsettias). 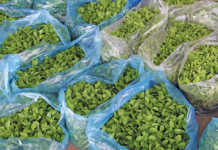 The blue portion of the light spectrum can be used for enhanced vegetative growth and to prevent flowering, or premature bolting in crops such as lettuce. The red portion of the light spectrum can be used to increase stem length, stimulate flowering and fruit set, and is employed in growing roses. Infrared (IR) radiation can be used to heat greenhouses and plants, but it can also scorch plants and may require shading to reduce radiation, or IR-controlled plastic covers to reduce solar radiation under warm conditions. 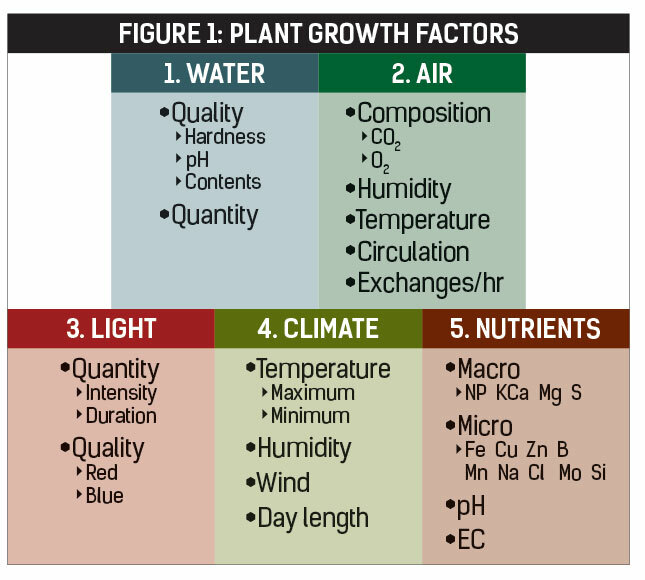 Temperature and humidity are the most important climatic conditions that can influence plant growth. Frost can easily kill plants at subzero temperatures, or scorch them at high temperatures. However, pollination, fruit set and seed formation, germination and plant growth, among others, are all influenced by temperatures below or above the optimum range, long before frost damage or scorching occurs. Humidity plays a major role in transpiration and irrigation, but high humidity could cause fungal and other diseases. Plants require a total of 16 chemical elements to grow –some in relatively large quantities, and others, known as micro-nutrients, in minute amounts. These nutrients are also important to prevent slow or abnormal growth. Four of the six macro elements, carbon (C), hydrogen (H2) and O2, are readily available in nature in the form of water (H2O) and air (consisting of H2, O2, CO2 and nitrogen [N2]). Fertilisers supply additional N2, phosphorus and potassium in varying concentrations of up to 99%. The concentrations of chemicals used, acidity levels (pH) and DO levels of nutrient solutions are as important as their chemical contents. For more information, email Prof Gert Venter at [email protected].